Today I’d like to speak more about the feline beings of Antares, a nearby constellation named Ara, and the restoration of the ‘golden light of Lyra’. During Lyra’s first Golden Age, the leonine beings who had settled on Avyon, a planet of the star Vega, flourished. From their own DNA they created feline sub-species, and later on humans, who spread to the planets Ruatia and Velonia, and to a beautiful planet of the nearby star Lucida Anseris. The first federation of planets in the Milky Way was formed, the Federation of Lyra, in an era of peaceful growth and creation. As the polarity experience went into a deeper phase, and the Lyran planets were invaded and fell into an interdimensional war in which Avyon was destroyed, the inhabitants of Avyon, Ruatia and Velonia fled into other star systems. Vega (Alpha Lyra), photo courtesy NASA. 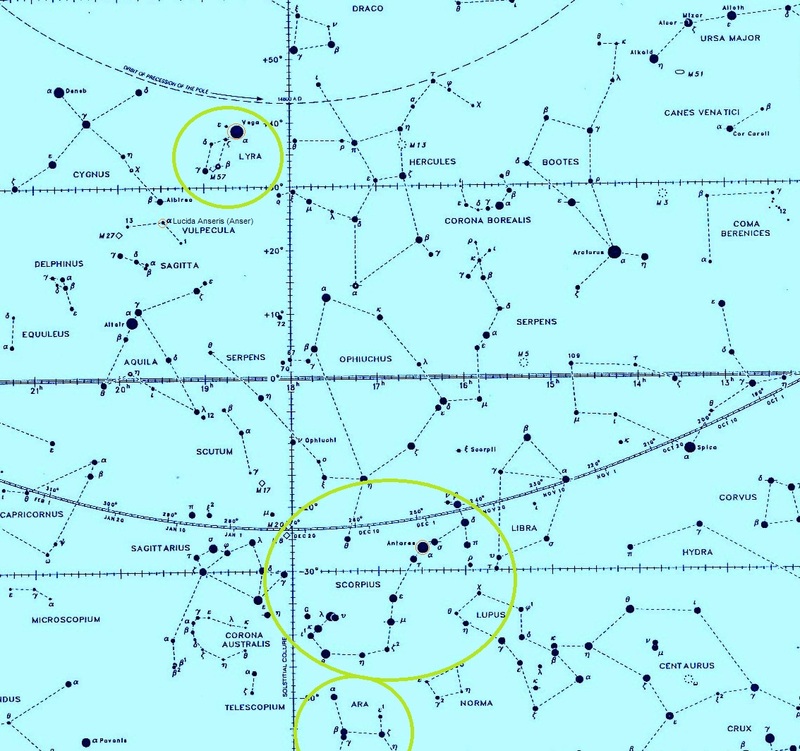 Lyra, Scorpius & Ara circled (Lyra north of celestial equator & Scorpius and Ara south). Many leonines went to Sirius A, and the humans who went after them resettled on planets around Sirius B. Anla’ith, an Antarian tiger being I introduced in this post as the captain of the ship below, speaks of the scattering of the different groups from Lyra and Lucida Anseris as a ‘fanning of rays of the golden light of Lyra’. From upheaval came a spreading of the feline and human beings, and both Sirius and Scorpius proved to be fruitful havens (felines went to Scorpius, humans joined them later, from Sirius and the Pleiades) in which they could undertake new creations and eventually re-ascend their frequencies. 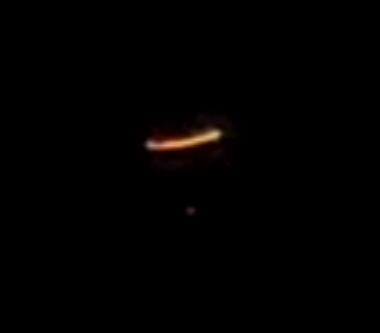 Antarian ship Meretahu, captained by Anla’ith, photo taken March 24, 2016. Some tiger beings went into the constellation Dorado, while another leonine group – with tiger, panther and leopard-type beings – travelled to the Scorpius system, particularly its alpha star Antares, and the Cat’s Eyes. Humans also eventually settled on Antarian planets (my first Antarian contact was with a human female, Tayitha – see this post). 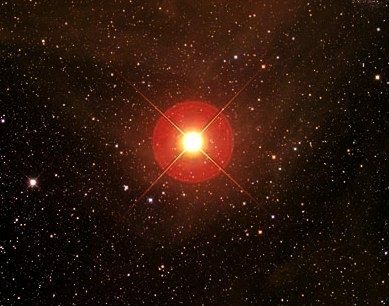 Antares, red supergiant 850 x radius of our sun. 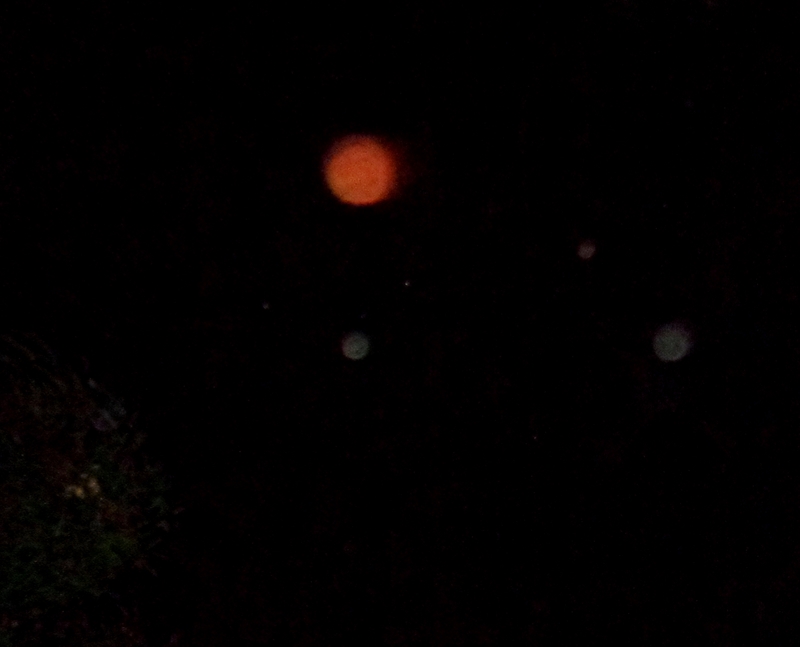 Since late 2015 when they first contacted me (& I attuned to their presence) the Antarians have continued to represent their energies with a single large red orb, a beautiful reflection of their star, such as the one below. 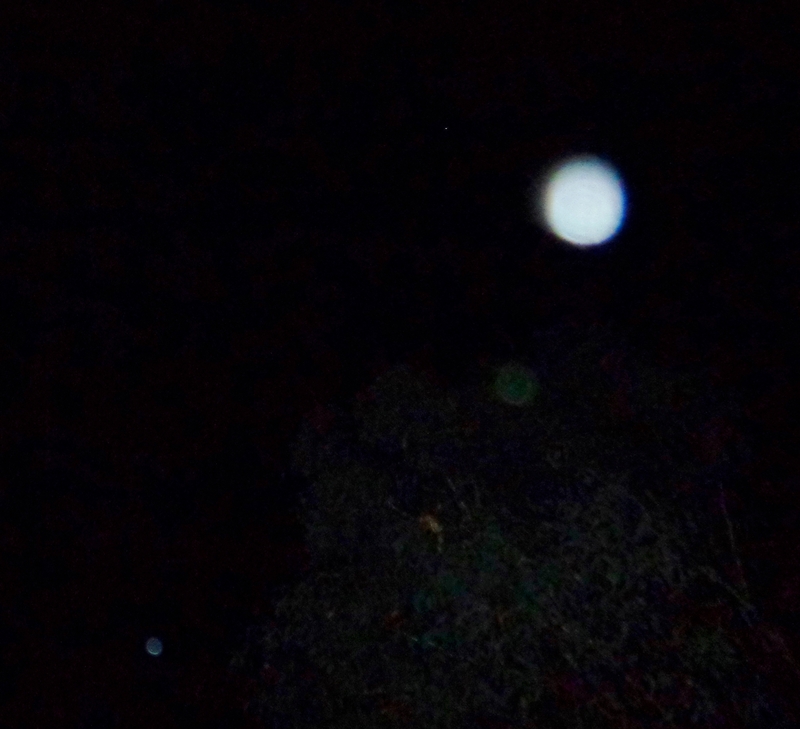 Antarian star family projecting their light energies as a red orb, with green Arcturian companions, Jan. 7, 2016. 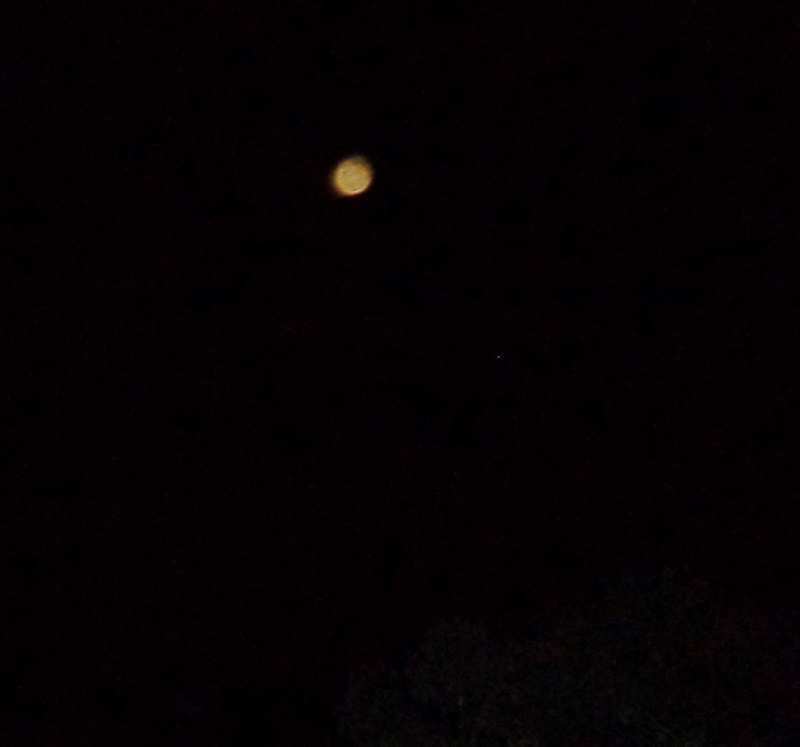 Recently, Antarian family have been appearing in red orbs with a golden-amber light inside, such as this one on March 30, 2016, golden inside a red rim. 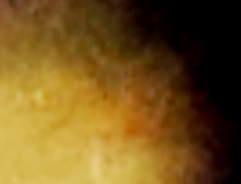 In this orb are so many faces that they are layered over each other, thousands of them, with feline, leonine, human and doglike features (there are also dog-headed beings in Antares – all the dog beings are sub-groups from the feline DNA, very close kin, friends and companions, not as humans tend to see their reflections on Earth in a ‘cat versus dog’ way). In the enlargement below you may be able to see the face of an eagle – Carian energy merged in with Leonine, canine and human faces, in the golden light. As I was feeling into this golden light and the gathering of beings within it, Anla’ith guided me to go further than Scorpius, and directed me to a constellation near the Cat’s Eyes (the two stars in the ‘tail of the scorpion’), called Ara. In Latin, ‘ara’ means ‘altar’. In the root universal light language, A-ra is ‘I’ (Divine I)+ ‘Light’ (of Source)…I am the Light of Source. As meanings are multi-layered (and multidimensional) in the universal sounds, also we have Ar-a: ‘Lion being’ + ‘I’ (small self I), Ar in Ariel and in the name Arnap, where Ar is the energy of guiding or steering, as in the path of an ar-row in flight, the masculine energy in motion. When its motion is in alignment with the Divine, steering from/with Source, the feminine energy wraps around it, and unfurls from it, like a flower, or like the golden cloth on the altar, and the altar and cloth are one. (We all have feminine & masculine within us – feel the wholeness inside). 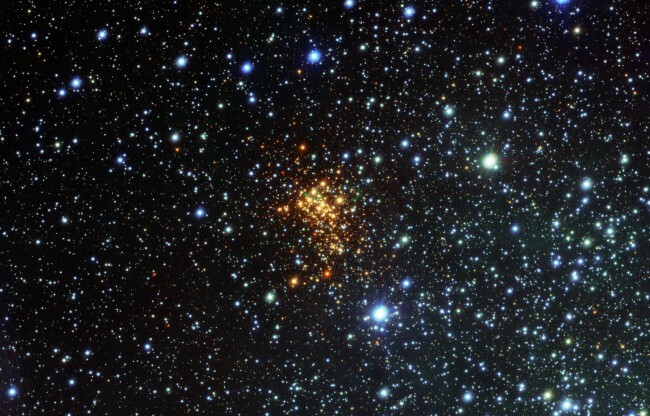 The beautiful Westerlund 1 golden cluster in the Ara constellation. Image courtesy NASA. In Chinese myths, the star Vega is the ‘Weaving Maiden’, which I’ll speak of more deeply later this year. For now, feel how the cloth of golden light woven around Vega and its planets in its Golden Age flew out as golden rays, scattering to many stars, taking with it many creational strands. The greater cloth from which forms rise lays over the altar, and can be seen in the image above of a golden cluster in the Ara constellation. The Greek myth of Ara holds another pearl of truth, for they saw Ara (located close to the heart of the Milky Way galaxy) as the altar upon which the gods first made offerings and formed an alliance, in order to defeat Cronus and the Titans. Cronus was identified with Time (Chronus, named Saturn by the Romans – Lord of Time/Karma), and this is a story of the re-ascension of the ‘children who had fallen into time’ (Cronus eating his children = time devours all/mortality) by aligning their energies together, in an alliance of different paths and expressions through many galactic ‘Houses’ as one unified family. And it is unity consciousness, love and cooperation, that brings about collective ascensions. Hence tales of immortal ‘gods’, dwelling on the heights of Mt Olympus and drinking golden ambrosia, the elixir of eternal youth. Not all who gained/regained the heights (higher dimensions) remained in unity consciousness and Source alignment…there have been many shifts of energies along the way. 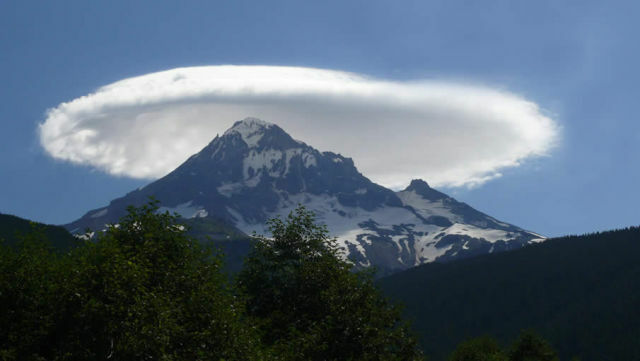 Mt Olympus, photographer unknown but appreciated. On Earth, this can be seen in reversals of concepts of the nature of ‘reality’ in ancient times. I’ll speak of just a few here, so you can see/feel the pattern of shifts in polarity, starting with maya, which is now commonly used to denote the ‘illusion of the material world’, with a negative connotation of an illusion which entraps, like a deception or enticement that obscures spirit, to which souls become attached and caught in the wheel of karma. However, in the earliest texts of the Rig Veda (Hindu scriptures), where maya was first described, it was seen as a magical power or attribute of the gods, their creational shaping of energy into form, aligned with Parama Purusa, the supreme being (Source), very different to its current meaning – which was already present in the later Rig Veda texts. Similarly, the word demiurge for creator being went through a deep reversal. To Plato and the Neoplatonists, the demiurge was the craftsman of the realm of form, and the forms were emulations of pure, eternal Ideas – so for instance, behind the myriad variations of form of every tree, there is an ideal of ‘Tree’ that has or is an immutable essence. In the Platonic view, the demiurge was benevolent, and the level of form intrinsically connected to the essences it emulated. Later, the Gnostics and other groups viewed creation through the gaze of dualism, seeing the non-material realm as ‘good’ and the material realm as separate and ‘evil’. Therefore the creator of forms, the demiurge, was viewed as a malevolent being, and matter as death, to be escaped from. So demiurge went through the same kind of reversal as maya. (This represents shifts of lighter to denser frequencies on/around Earth, and which frequencies the human view has fixed on, through numerous phases). Connected with the shifts of maya and demiurge is the word ahura from ancient Persia, which became asura in India. Ahura in the Gathas (Zoroastrian scriptures) were creator gods, angelic beings protecting, guiding and helping humans back toward love in divine light. Other beings called divs were to be avoided, as entities that would lead humans false/astray. In India’s Vedas, once again like maya in the earlier texts and in line with the Gathas, the asura were benevolent creator gods, while the devas were mischievous or malign entities to be avoided (div and deva being the origins of the modern word devil). Yet in later texts, the two were reversed, with the devas seen as benevolent gods and the asura as demons. Can you see and feel the pattern of energies and reversals, a sign of the shift away from unity/unified consciousness which fuels the dividing split gaze? It is this shift away from unity-of-seeing, from wholeness in harmony with Source, that is ‘loss of innocence’. The innocence of wholeness and harmony is the dwelling place of inner sense. Where unity is gone, the inner sense – from which wisdom and clarity arise – is fragmented (and lesser light, fractured energies, can slip through the cracks). It is the cloth around the altar, which holds all the ‘golden-prints’ of creation within its weave. Does the cloth of forms appear dark to you, obscuring the altar? Does it appear as translucent gold, its shining threads arising from the Love which is its bedrock, supporting it, and through which you can see the altar itself? What is the altar? It is the offering of Life, from Source’s Heart. Countless bowls and chalices, candles and platters lay upon this altar, arisen from the cloth…stars and constellations they are, galaxies and the many bright universes in dimensional bands, and all life thriving within them. The cloth of golden connects them all, they all rest upon it, nor can they be removed from it. The illusion of the veil of forgetting can be swathed around them – the shadow maya, yet this takes much control, for it is a discord to the hu (creation sound). When we focus our beings, or an aspect of our being, into the shadow maya, we can get transfixed by death, endings, losses, life fading from vitality through linear time. Reacting through that focus holds the shadow to and within our ego selves and emotional fields. Yet in any moment we can turn our focus to the life behind the cloth, which tunes our focus to the golden threads within us and all forms. 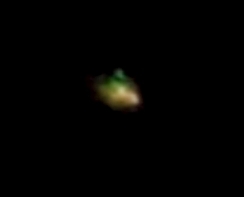 Here’s another enlargement from the golden Antarian orb above. 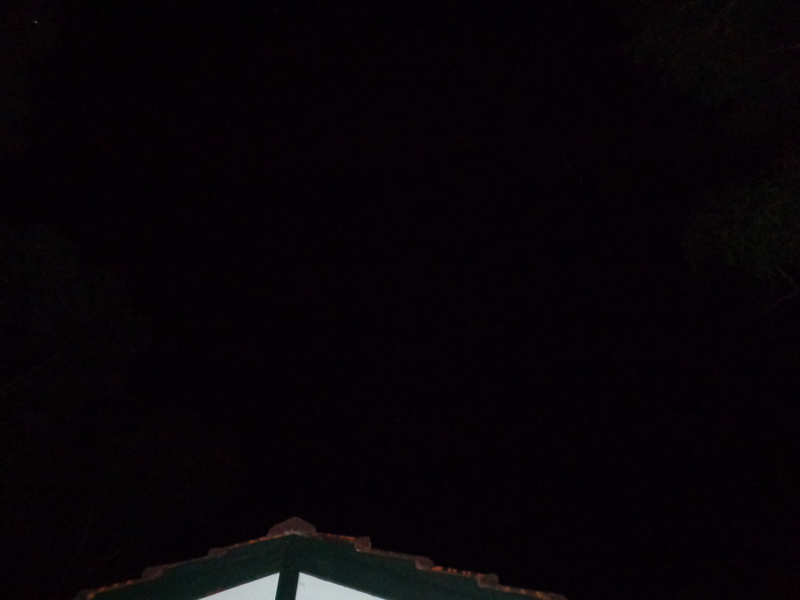 In the centre is a pyramid, with many beings around it, which was also reflected in the energy of two beautiful ships that appeared high overhead on April 7. You can see one of them in the very top left corner of the photo below. Photo taken April 7, 2016. 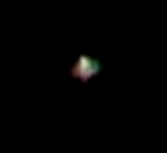 Here it is enlarged, a pyramid-ship with a base of golden light, and green, violet and white light above, with the second ship below. These are Procyon ships…and I would add in the context of this post, that as you look at these ships, to feel the rays of the golden light of Lyra that spread through star systems (the origin of this pyramid light-form), including to the ‘Dog’ systems, Canis Major (of which Sirius is the alpha star) and Canis Minor (with Procyon the alpha star), and re-ascended in/with those systems. I’ll end this post with a meditation I did a few years ago, with Ashtar guiding. This is especially for those whose focus goes to death-wish, feelings of loss, hurt or despair. Just feel into this, and the true eternal energy of life, which changes forms, but never ends, is always flowing through the Tree of Source. At the time of this meditation, I was struggling to heal the energies of a lifetime in Atlantis where I had ‘lost my mind’, gone into dark ways, and ended my life by jumping off a cliff. Ashtar met me in my Inner Heart* and stood facing me, hands touching. We joined inner eye to inner eye and he asked me to ‘walk into his eye’, so what I visualized was a tiny me walking over a bridge from my inner eye into his. IN there, we stood side by side on the ledge of a great waterfall in space, with the water falling endlessly into a bottomless abyss, a void of blackness. Ashtar said to look into the void, and asked what did I see? As soon as I looked over the edge, the endless darkness was filled with shimmers of light, moving here and there, rainbow lights, golden lights, white lights, it was literally teeming with the energy of Love, with infinite potentials of Life, and I realized in that moment that the void was an illusion. Now I would call it the background of the shadow maya, seen from the focus of separated,veiled ‘self’. 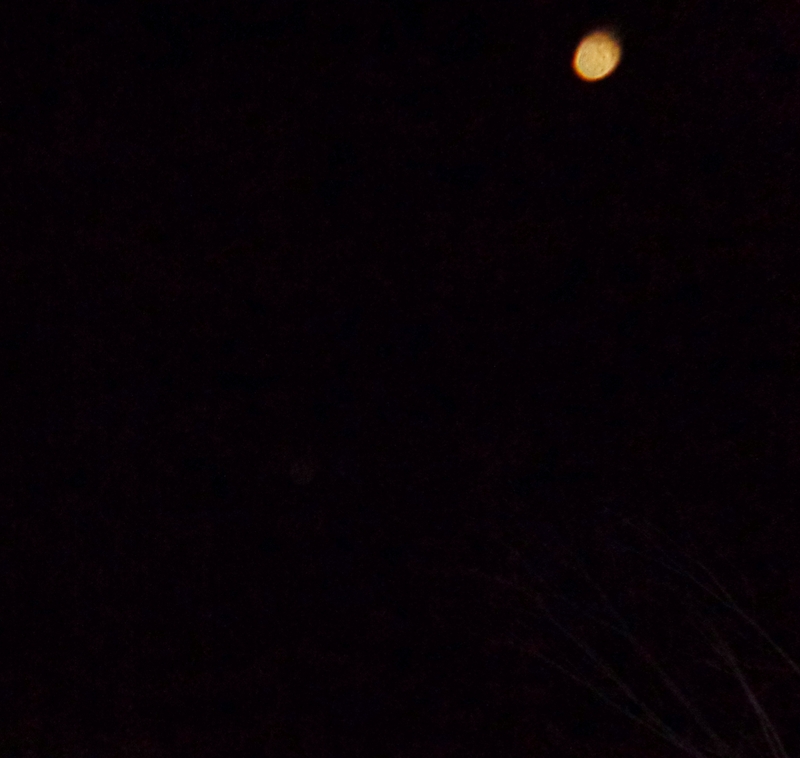 Then I looked out across the infinite playing field of light, and saw stars and constellations beyond counting. Beside me, Ashtar’s gaze was turned to them, and seeing through his Eye, his ‘I’, I felt very deeply his knowing of each one of them, and his love for them all. Which helped me greatly, from the sad focus point I was ‘in’, to remember and see and feel once again the wholeness of Life, and the pure innocence of my soul, within and beholding the All, in the light of creation. Then the golden light could open within me again, and blossom. It could merge my awareness and inner sense into my multi-dimensional whole again…and touch that lightness through to ‘3D self’. 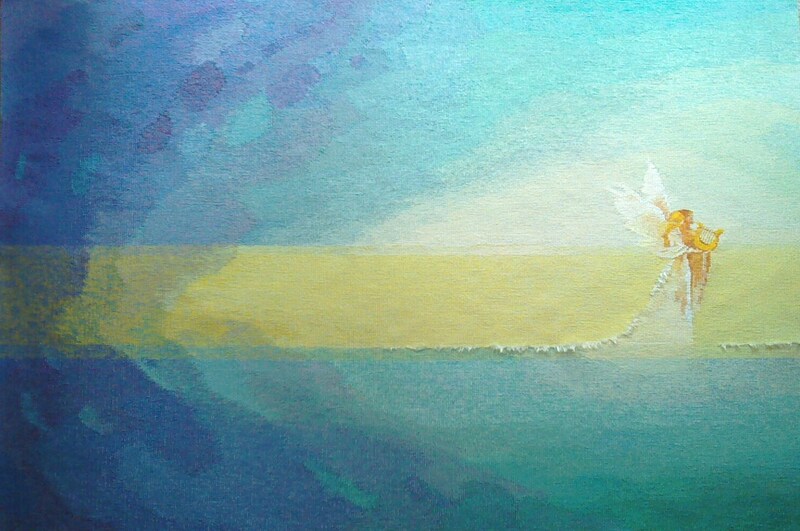 In hindsight, I know I was’ weaving my way’ back from the hold of the shadow maya into the golden rays of Source, specifically along the ‘Lyran Ray’, when I wove the tapestry below, of Orpheus and his Angel returning to Light from the underworld. (Orpheus’s lyre became the constellation Lyra in the Greek myths. I’ll speak of this more soon, as it is connected deeply with Ashura&my path). Finally, a gift from last night – a beautiful Lyran light gold orb, with many dear ones within it. 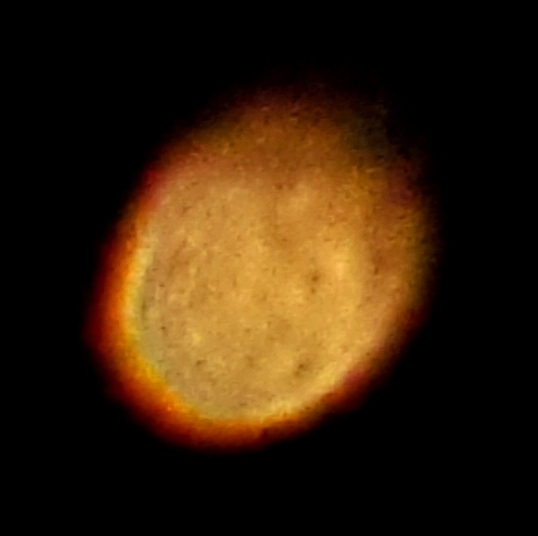 Lyran orb, photo taken April 15, 2016. In this enlargement, maybe you can see in the upper greenish area, Ashura’s energy – represented as the face and antlers of a stag. And his white light shining…with more friends close by. *Inner Heart: if you’re unfamiliar with ‘going into your Inner Heart’ please read this page. *If you haven’t read previous posts, you can read more about Ashura here, and on the Shem Arua and Mary’s Star pages. This entry was posted in Angels, Antarians, Arcturians, Arnap/Ashura, Ascension, Ashtar, Ashtar Command, Dimensions, Gaia, Intergalactic Confederation, Lightships, Lyrans, Mythology, Orbs, Sirians and tagged ahura, aliens, angels, Antarians, Archangel Ariel, archangels, Ariel, Arnap, ascension, Ashtar, Ashtar Command, Ashura, asura, Avyon, Cronus, demiurge, ETs, ETVs, extraterrestials, Galactic Federation, gods, higher dimensions, immortals, Intergalactic Confederation, leonine beings, lightships, Lyrans, maya, mythology, orbs, Orpheus, Sirians, spiritual guides, spirituality, Twin Flames, Twin Souls, UFOs by Joanna. Bookmark the permalink. Reblogged this on Healing With The Angels.